Joe Landale latest novel The Thicket will be released on September 10. If you’re in Austin, you can see Lansdale in person at BookPeople on September 12. 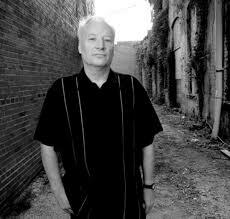 Joe Lansdale is one of the most versatile and peculiar writers in American literature. He’s written a popular mystery series (Hap and Leonard) whose detectives are a white East Texas rose picker who spent time in prison as a conscientious objector and his best friend, a gay, black veteran. Lansdale has won the Bram Stoker Award from the Horror Writers Association eight times. He’s also written for comic books, television, and movies, and his work has been turned into the films Bubba Ho-Tep (which, if you haven’t seen it, you need to watch tonight) and, coming soon, Cold in July. His latest novel is The Thicket, a suspense novel set in The Big Thicket in East Texas. If you live in Austin, you can see him read from the book in person on Tuesday, Sept. 12, at BookPeople. In this interview, Lansdale discusses voice, writing “historical” fiction, and what it means to write about East Texas. The first sentence of the novel lists all the things that will happen in the story. I’ve seen a lot of beginning writers try something similar, and the sentences rarely work because they feel manipulative, like the language is trying too hard to get my attention. But this sentence is wonderful. It’s such an absurd list of events, and they’re related so matter-of-factly. How did you approach this sentence? I’m not overly conscious of it and mostly just try to write something from the subconcious where the story is hidden. But the subconscious mind knows, and I let it be my guide. I’m from rural Kansas, where people, especially old farmers, tend to have a colorful way of talking. My siblings and I actually play a game, trying to think of all the crazy lines we’ve heard our dad or grandfather say. So, that’s why I love this line from your novel: “Daddy always said Grandpa was so tight that when he blinked the skin on his pecker rolled back.” That’s maybe the funniest thing I’ve read in a novel in a long time. I’m curious if you made that line up, or if it’s something you’ve heard. In general, you’re so good at writing that rural voice. How much work does it take to maintain it for an entire novel? It’s a saying I heard growing up. People here, especially generations previous, spoke that way naturally. I’m very comparison-oriented as a writer and speaker. I pay attention even when I don’t know I am. I absorb more than I collect. The novel is set one hundred years ago–which seems like a risky move as a writer. So many books set in the past are stifling to read. The characters don’t seem like fresh creations, or the writers try to mimic an old-fashioned way of talking. How did you avoid those problems? At one point, I forgot the time period and thought I was reading something set in the present. I tried to capture the period without it capturing me. I did allow an old style of speaking to seep in, but I never let it own the story. Shorty has a very stylized way of speaking, and even his contemporaries find it odd. You’re a Texas writer–born in Texas, live there, and set many of your books there. As a literary setting, Texas often gets used as a platform for big, sweeping sagas about America. Your work doesn’t really do that, though. It’s funny, where often those books aren’t, and the characters are intensely idiosyncratic, rather than symbols for some larger idea–even though, as in the case of The Thicket, the story is set at a time of significant change. Is this because you write about East Texas, which lacks some of the mythic quality of the Old West and West Texas? Or does it have to do with your conception of how to tell a story? What do you think? I think East Texas is mythic, but more in an Old South way, mixed with some Western, and cajun, black, and more recently, Hispanic culture. I write out of the mythic and tall tale tradition, actually. Love it. Greek myths are a big part of my background. I’ll forward this to Joe. Thanks for the comment.